Host Reed Manch Exhibitions Pvt. Ltd.
India Warehousing Show (IWS) is the leading exhibition and conference for warehousing, logistics, material handling and supply chain industry. Running in its 6th annual edition, the event is attended by over 6,841 Trade visitirors, 145+ exhibitoirs, 377 hosted buyers, 305 conferences delegates during each year representing high level decision-makers and buyers from across the globe. IWS is a complete supply chain event you cannot afford to miss in 2016! 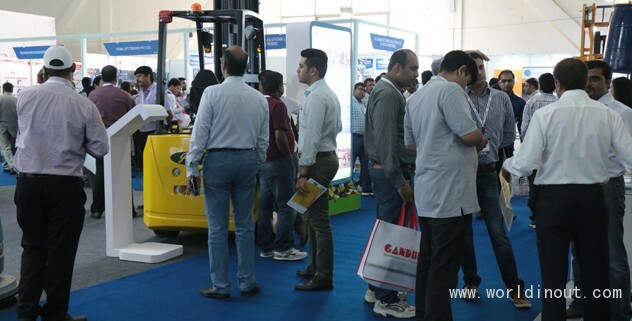 India Warehousing Show, since its inception has been a topic of discussion amongst the exhibitors, media professionals and visitors from all over the world. A robust international presence and displays including latest trends and innovations make this show the highlight of the business calendar for the entire Supply Chain industry in India.